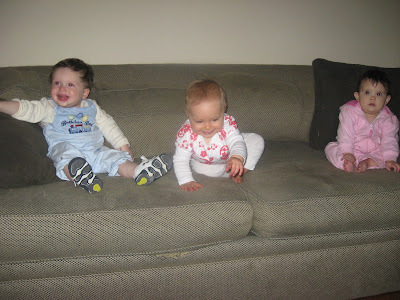 Declan, Lucia and Anne - a little harder to get them to sit still on the couch this time! 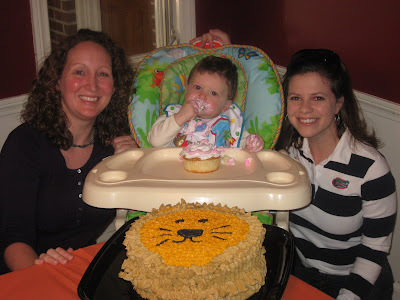 Aunt Katharyne and her awesome Lion cake. 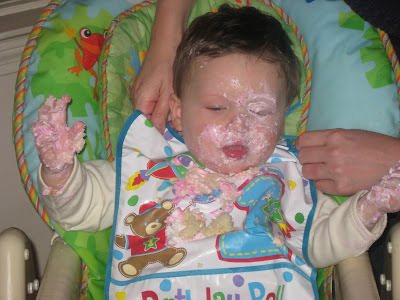 Soon after this photo, Declan turned and smashed a bunch of cake on her face! What a cutie! 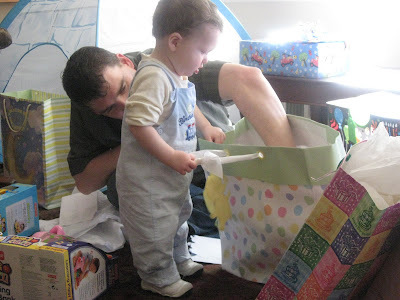 Happy first birthday (last month). and the cake looks absolutely delicious!